Sad to say, antivirus and intrusion prevention aren’t the all-encompassing security solutions they once were. The threat landscape is immune to these defenses on their own, changing just as rapidly as your enterprise and finding new ways to attack endpoints, applications, and environments. Simply put, your dynamic enterprise is subject to dynamic attacks – so it’s time to put a dynamic defense in place. 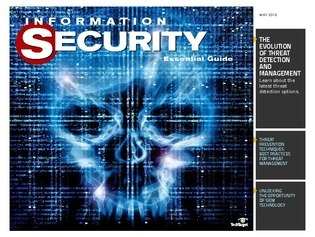 This Information Security Essential Guide outlines the latest threat detection options available, provides a number of best practices for threat prevention, and outlines why your SIEM is a key player in the fight against cybercrime.